Well, here’s a sign of the times. 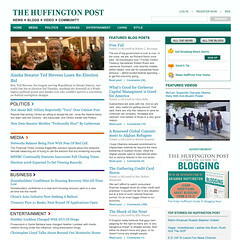 The Huffington Post is launching a new section devoted to divorce. It was conceived by writer/journalist/filmmaker Nora Ephron, who will also serve as founding editor. In some ways, one’s tempted to ask: What took you so long? After all, as my colleague Bonnie Goldstein reported last week, marriage is at a historic low in the United States. And while U.S. divorce rates have declined slightly with respect to their all-time high in the early 1980s, they are still high by international standards. 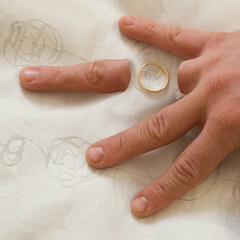 According to The National Marriage Project’s State of Our Unions 2007 report, for the average couple marrying for the first time, the lifetime probability of divorce or separation remains between 40 and 50 percent. 1. One of my colleagues at www.PoliticsDaily.com pointed me to this list of 15 ways to predict divorce over at The Daily Beast. Check out #15. 2. I absolutely adored this essay by Becky Tuch at Beyond the Margins where the author explains why she’s “breaking up” with Facebook. Priceless! 3. And speaking of Facebook, Ben Casnocha has a thoughtful meditation on youth, identity and social marketing. 4. As always, I’m in love with Roger Ebert’s Journal and especially this post where he launches a campaign for real movies. 5. As someone who writes a lot about her family, I confess that this post by Lisa Gornick about how to write about your kids on Christina Baker Kline’s blog really made me think twice. As always, feel free to follow me on Twitter! Several of my friends are undergoing personal crises right now. Some are seeing long-term relationships come to an end. One friend has bedbugs and needs to vacate her apartment ASAP (and toss out all her furniture). Another friend just discovered that his former partner has cancer. Here’s a story in the New York times by a guy I don’t even know (but could) who hit rock bottom when he was unemployed. 1. Reach Out. 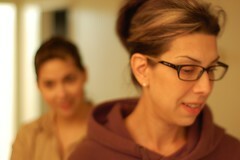 Sometimes we’re afraid to reach out to friends in acute crises because we think that they’ll be embarrassed or ashamed. And sometimes we just don’t want to deal, either because their problems hit too close to the bone or because we’re so submerged in our own issues and can’t come up for air. But just as it’s important not to ignore physical pain in ourselves, it’s equally important not to ignore emotional pain in those close to us. If a friend is contemplating suicide, for example, it’s important for him to know that you don’t want to live in a world that he’s not part of. Many crises occur because people feel isolated and in despair. Let them know that you’re there and that they matter to you. 3. Emphasize the Positive. This sounds obvious but it can be difficult if your friend is relentlessly negative about his or her situation. Try to find something – anything – that might give them hope. One of my friends was sending out increasingly bleak emails to a close circle of friends. While acknowledging his pain (see point #2), I also told him that his ability to describe his predicament with such clarity and conviction was itself a positive, because it meant that he understood himself incredibly well – and was finding a creative outlet to express this. 4. Send Them Something. One way to let a close friend know that you’re thinking about them is to send them something thoughtful. Right after my father died last March, one of my friends sent me a care package for Easter filled with frost-them-yourself cupcakes and some of those tiny yellow marshmallow chicks they sell in America at Easter time. She knew that my father used to send me weird stuff in the mail all the time and this was her way of saying “I’m thinking about you.” But it doesn’t have to be a present. I often send friends who are sad e-cards to brighten up their day. Or poems. Or song lyrics. Or articles I come across that speak to what they’re going through. It’s a non-invasive way of letting them know that they’re on your mind. 5. Recognize Your Limitations. But perhaps the most important thing you can do is to recognize that you aren’t God (or your all-powerful being of choice.) I recently came across this post by a friend on Facebook and it spoke volumes to me: I find it enormously heartbreaking to watch someone I love suffer under the weight of severe depression. I feel so useless. It’s really hard to accept that – at the end of the day – there’s only so much you can do. But you can save yourself a lot of unnecessary grief if you acknowledge that you aren’t in control. You can’t fix this person’s life. You can only show them love. 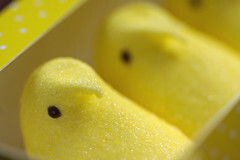 Image: peep by thelouche via Flickr under a Creative Commons license. 1. There’s another great essay over at the New York Times Modern Love column, this time by Stacy Morrison. It’s about a divorced couple who still spends a lot of time together. 2. And speaking of marriage, Book Snob (aka Katy Keim) tells us what her nightstand says about her marriage. 4. You’ll also want to check out the inside of some of David Foster Wallace’s books, on display at The University of Texas Harry Ransom Center. (Hat Tip: Kristin Bair O’Keeffe.) Wow! 6. Finally, my new favorite writers’ website: Beyond The Margins. Check it out! Not so long ago, I got an email from an old boyfriend. His marriage was on the rocks and he was feeling angry and betrayed and he wanted to know what to do. My second reaction was one of discomfort. Of the many professions I’d trained for over the years, therapist was not one of them. Sure, I analyze myself endlessly and give advice to close friends on all manner of things. But an ex-lover? I wasn’t sure I was up to the task. My hesitation was made worse by the fact that about ten years ago, another ex had telephoned me for marital advice. His wife had abruptly stopped speaking to him. And not as in they weren’t communicating well; she literally wasn’t speaking to him at all. That marriage ended in divorce (though he subsequently re-married quite happily). But the whole experience gave me cold feet. After all, if I screwed this up, I’d be 0 for 2. That’s worse than the US national divorce average! But, eventually, I felt flattered. Because when I gave it some thought, I realized that I really did have some limited advice for my ex and his wife (which mostly amounted to some version of “you guys should really sit down and talk to one another”). And it seemed, magically, to be of use. A few days later, I got an incredibly long and grateful email from him about how my advice had revitalized their relationship. His wife (whom I’d always assumed just hated me, and perhaps did) even hoped to meet me some day. I’m not sure what it is about me that causes my exes to bring their marital problems to my doorstep. But it does make me feel like I’ve come along way. As someone prone to jealousy, even ex-poste (I once hurled a plate at a wall…long story), I’m not necessarily prone to maturity where relationships are concerned. But you know you’ve grown up when you can look at someone else’s relationship – someone with whom you once had your own issues – and analyze it in an impartial, even helpful way. Speaking of maturity, a friend introduced me to the wonderful Formerly Hot website/blog, a self-described “tween site” for grown ups. Be sure to check out the “formerly hall of fame” which includes a listing for margarine. Love it! Image: Bride and Groom by Sharron Goodyear via Free Digital Photos.net.